^ a b c Scherer, John R. (2007). 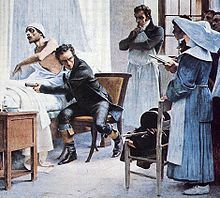 “Before cardiac MRI: Rene Laennec (1781–1826) and the invention of the stethoscope”. 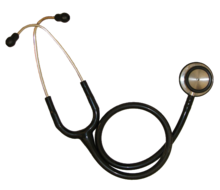 Cardiology Journal 14 (5): 518–519. PMID 18651515. http://www.viamedica.pl/gazety/gazeta1/darmowy_pdf.phtml?indeks=95&indeks_art=1246 2008年12月9日閲覧。.